Ellsworth Street is located one block east of Main Street. This north-south street runs from Route 176 south to Beardsley Street. Daniel Ellsworth was born in 1796 in New York State. He, and his wife, Elizabeth were two of the area’s earliest settlers. They arrived here in the late 1830s. Daniel Ellsworth acquired large tracts of land and established himself as a successful farmer. The Ellsworth house is still in existence today. It is situated at the southeast corner of Route 176 and Ellsworth Street. It is believed the house was built in the 1840s. With the coming of the railroad, the Village of Nunda came into existence in the spring of 1855. Nunda was located just north of the Village of Crystal Lake. John Brink established a plat of survey for the Village of Nunda in 1868. Roughly, the borders of the original Village of Nunda included the area which we now refer to as “Downtown Crystal Lake.” Nunda was approximately bounded by Route 176 on the north, Crystal Lake Avenue on the south, Main Street on the east, and Walkup Avenue on the west. 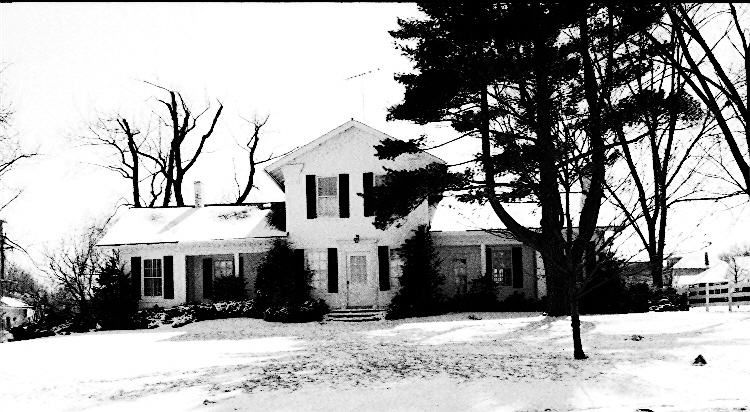 Most of this acreage was originally owned by Simon S. Gates and Daniel Ellsworth. Daniel Ellsworth died July 1, 1883. His wife, Elizabeth died February 28, 1873. They are both buried in the Lake Avenue Cemetery.